But the thrust of Kuralt's TV report was critical. Reporting on a militant, anti-American parade in Havana on May Day, he described Cuba as a place growing dreary with dogma. "The Communist exhortations made the island seem like a dream out of Orwell," Kuralt said in a voice-over. Despite the anti-Castro emphasis of the broadcast, it did not play well in Miami, where hardliners in the Cuban exile community denounced Kuralt as a pawn of the Castro regime for having gone to Cuba in the first place. The clamor spread from there to Washington. On July 19, 1962, the Senate Subcommittee on Internal Security held hearings on "attempts of pro-Castro forces to pervert the American press," and Kuralt's report became a centerpiece of the discussion. His chief accuser was Carlos Todd, a Cuban journalist living in Miami who, as recently declassified documents show, was editor of an anti-Castro newsletter published with secret subsidies from the Central Intelligence Agency. "Kuralt endeavored to present a very rosy picture of Communist Cuba," Todd charged in his Senate testimony. He asserted that several US journalists had made a tacit agreement to produce pro-Castro reports in exchange for permission to visit the island. 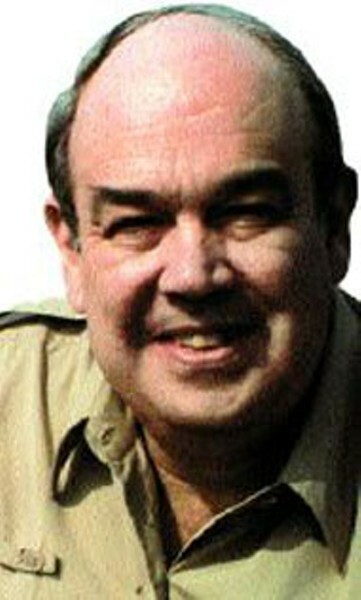 Kuralt's recent show from Cuba, Todd alleged, was a prime example. Reports like Kuralt's were duping the American people, Todd argued. "Audiences, ignorant of the facts about Cuba, accept the words of these men as gospel truth, and the nation is conditioned to accepting communism in this hemisphere." This charge appears to be what put Kuralt on the FBI's radar. 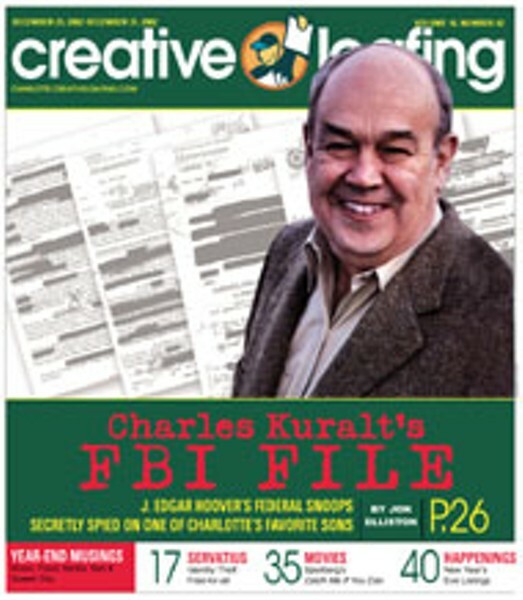 A month later, the bureau opened its file on Kuralt. The first page was a memo from an FBI agent in Rio, where Kuralt was still stationed, to Director Hoover. The text is entirely blacked out, but a handwritten notation indicates it was placed in a file on "Cuban propaganda." Then, on September 14, Hoover himself wrote a memo about Kuralt. Again, the full text of the message remains censored. When shown the FBI documents on Kuralt in 2001, Ralph Grizzle offered a quick response: "They said he was pro-Castro. Well, he was pro-everybody, wasn't he?" Indeed, Senate investigators who looked into the matter ultimately concluded that Kuralt was no threat to national security. In January 1963, the Subcommittee on Internal Security cleared Kuralt of Castro-boosting, publishing a detailed analysis of his Cuban dispatch that acknowledged Todd's charges were false. For his part, Kuralt dodged the fracas by getting married for the second time and hopping on a cruise to Brazil with his bride. "I figured I couldn't be subpoenaed if I was on a ship at sea," he later quipped. In 1964, CBS brought Kuralt back to the United States, and most of his subsequent reports focused on stories from his homeland. But having proven himself on the Latin America beat, he was still dispatched to cover the occasional international crisis, like the one that broke out in the Dominican Republic in May 1965. There, a populist uprising was trying to unseat a Washington-backed military junta. President Lyndon Johnson forced the outcome by ordering an invasion by 20,000 US troops. Again, Kuralt would be reporting from a den of intrigue that he'd visited before. A year earlier, in the summer of 1963, he'd spent a week in Santo Domingo, the Dominican capital. It had been a busy week, one in which Kuralt tapped all sorts of clandestine sources, according to his expense report from the trip. The document, found among his personal papers at UNC-Chapel Hill's Wilson Library, charged CBS for dinners with shadowy figures: Haitian exiles planning a coup attempt in their country, and one "Samuel Talbot, CIA agent," who briefed Kuralt on the activities of Dominican communists. This time, Kuralt and a team of CBS reporters arrived on the heels of the US Marines. The resulting hour-long report, titled "What Went Wrong in Santo Domingo?," highlighted some of the lies and obfuscations uttered by US officials during the intervention. The report juxtaposed interviews with officials who claimed US troops were neutral peacekeepers with footage showing those same troops helping the Dominican military suppress the rebels. For its time, the show was an unusually penetrating critique of official disinformation. And it won Kuralt praise from unconventional quarters. Among his fans was writer Hunter S. Thompson, who had met Kuralt when both men were posted in Brazil. Thompson, then working as a correspondent for The National Observer, a weekly newspaper in the United States, had not yet formally launched his career in "gonzo journalism." But Kuralt already had an inkling that Thompson was an unusual character, as evidenced by a passage from A Life on the Road: "I knew him from Rio, where I had once lent him bail money to get out of jail after he had slugged a guy who had kicked a dog in a bar."